Many sectional title owners renovate and upgrade their units over time with the aim of adding to their living comfort and market value. Unit upgrades typically include lapas, carports, swimming pools constructed on exclusive use areas, enclosed balconies, patios and added-on rooms, while more subtle upgrades might concern the installation of a security system or an air-conditioning unit. Such owner-installed upgrades often pose a challenge when determining the replacement cost to insure a sectional title scheme. Prescribed Management Rule (“PMR”) 23(3) Annexure 1 of the Regulations to the Sectional Title Schemes Management Act No. 8 of 2011, provides that “a body corporate must obtain a replacement valuation of all insured buildings and improvements at least every three years, and present such replacement valuation to the annual general meeting.” In other words, the body corporate must insure all structures for which it is responsible, such as the buildings, boundary roads, entrance gates, corridors, stairways and other improvements which form part of the common property. The trustees have a fiduciary duty to ensure adequate insurance cover to reinstate all existing structures and improvements to their pre-loss quality standard for which they must appoint a professional valuer at least every three years. The body corporate is not responsible for insuring owner-installed unit upgrades, regardless of whether they are found on a unit’s interior or exterior. In assessing the appropriate sum insured – also known as the estimated new replacement cost – a qualified valuer must physically inspect and measure the common areas. Since it is logistically impossible for a valuer to inspect every unit in a complex, the onus is on the individual owners to report the replacement cost of additional unit upgrades that they want to insure and for their own account. Individual owners may also request the valuer’s assistance in assessing the replacement cost of their unit upgrades which will then be added to the basic replacement cost determined for the complex. This additional service usually attracts a small fee and the owners concerned must ensure that the valuer is allowed full access to their unit on the date of inspection, as upgrades are not limited to the exterior only. If done correctly, a professional valuation will expose any illegal unit alterations, for example extensions which were not approved by the body corporate, town council and/or Surveyor-General and not registered. Most unit owners do not realise that their illegal alterations are not insurable while in some instances owners are oblivious of the fact that they may have purchased an illegally extended unit. A valuation will shed light on this circumstance, thereby enabling owners to initiate steps to legalise their extensions. It does not suffice for the body corporate to give the required consent and for the proposed building plans to be approved by the municipality – the finished project must also be verified by a land surveyor and the necessary amendments made to the sectional title plans, to be approved by the Surveyor-General, and registered. Therefore, unit extensions not reflecting on the latest approved sectional title plans cannot be included in the insurance valuation as they are presumed to be illegal and uninsurable. In addition to the insurance aspect, it should be pointed out that illegal alterations are likely to have an adverse effect on a unit’s re-sale value. Another misconception is that a renovated unit should have a higher replacement cost than a same-sized unit which has been left untouched. While revamping a unit may increase its overall appeal and market value, this does not necessarily imply an increase in its replacement value, especially if the updated finishes are of the same quality grade as before the renovation works, albeit more modern. Considering that a replacement cost valuation is based on the premise of total loss of the immovable property, one must bear in mind that revamping an existing structure is always proportionally costlier than rebuilding the structure from scratch. Illegal unit upgrades are considered uninsurable. Please click here for step-by-step instructions on how to correctly extend a section. Please click here for step-by-step instructions on how to correctly extend a section. Article reference: Paddocks Press: Volume 13, Issue 4. 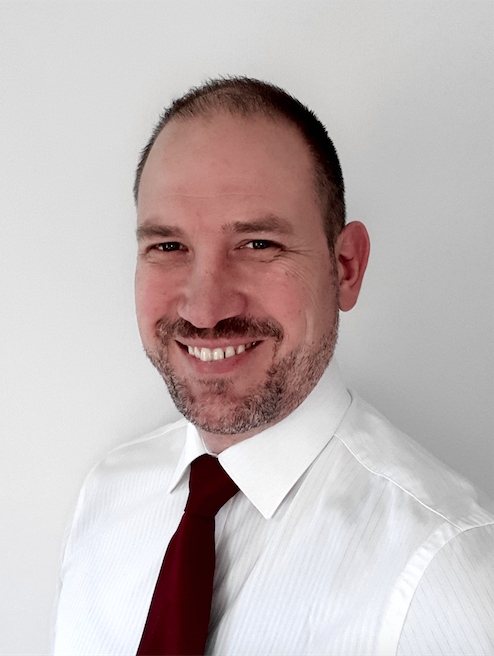 Björn Laubscher is the Managing Director of Mirfin Valuations, pioneers of sectional title valuations since 2002. Back to Paddocks Press – April 2018 Edition. Where an owner installs an aluminium awning with some blinds, how would this be treated for insurance purposes? The awning is first approved by the Board and complies to laid down guidlines, and does not form part of the PQ. Maintenance is for the owners cost. If an owner has a separate private entrance and driveway to their section and EUA who is responsible for insuring their gatemotors and the maintenance of it.